Famille Electro’s latest Ep seems to pay tribute to house music. It is then no surprise that the producer DAN CORCO named it HOUSE TRIBUTE. The BBS track appears to be a natural combination of rock-solid bassline, ‘green’ claps and tribal drums. Hidden in the background, the indus touch : scratchy voices, white noise trails and restless melodies. The second track, THE CYCLE OF HOUSE, combines ethereal melodies escaping from delayed synths, heavy drum rolls and huge ascents towards others areas of turbulences. 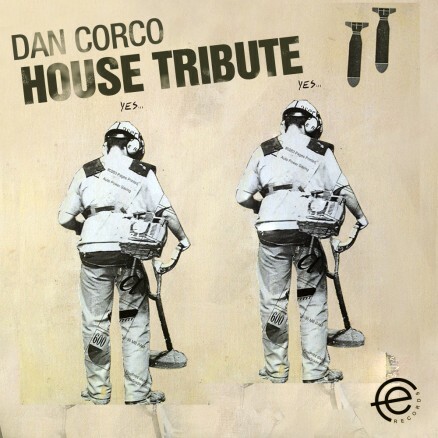 Information for the fans, in search of ‘house you can bounce’ : Dan Corco’s music cycle has not ended yet. BBS. Markantonio (Analytictrail / Drumcode / MKT) Downloading for Markantonio…thanks for the music!!! DJ Instint (XDC Music) Super job! Tolis Q (Quantized Music) nice tunes here, will play BBS! Dema (Sci+Tec / Trapez / Agile) cool ep thanks!! Gabriele Gilleri (diffrentgrooves.com) coolish house stuff, in the box! DJ Linus (Get Physical) Full Support! Axel Casas (Loca FM) full support. Great EP! Thank you. Toni Rios (Soap / Blufin) sounds good. will try it. thanx. G.PAL (Swift Records) Nice release. Aleksij (Toolroom / Ibiza Night) Old school vibes!nice! Tim Urbanya (Rush Hour / SI) BBS is my favorite, thank you! Huge support! Sam Divine (Defected in the House / House Connoisseur) Cool tunes! Alexander Madness (1605 / Sabotage) Great!! Full support from Slovenia. PHNTM (Naptuun City / 1605) Support! Kenny Ground (Southpark Records) BBS is cool! Jean Jerome (Radio FG) Nice EP guys, thanks! Love the Lil’ Louis tribute on Cycle of House.